Last week we solved the mystery behind an abandoned Ohio car dealership caught on Flickr. Our story set off a flurry of responses from readers about similarly abandoned sales relics. 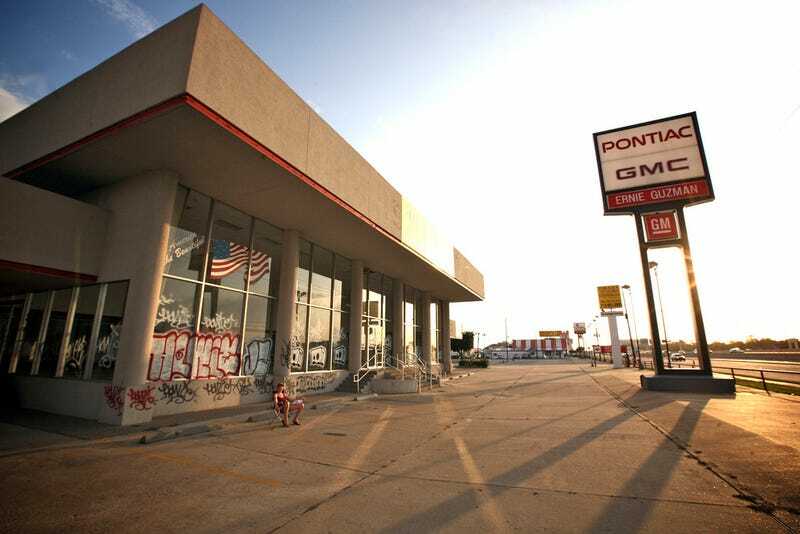 Here's a ghostly gallery of America's lost car dealerships. ...and, just like the Ohio dealership, the owner has apparently used the empty building to store old cars, in this case a lone 2002 Pontiac Trans Am. Much of the carnage has come from Detroit-branded dealers, but even those who took on a foreign brand, such as Phelps Chevrolet Nissan in Yucca Valley, Calif., could stumble - especially with an ill-timed move to a new showroom, as commenter 62ImperialCrown noted.